← Here I am 25 weeks pregnant! I have not written a blog in a long time, oops. I usually think that there is not enough for me to write about! Although if I was more inventive, I am sure I would be able to write something. With a week to go till my “due date” I am beginning to get ready for the birth. Packing my hospital bags! Re-reading my books on “how to give birth” and then just keeping busy! Actually, my books tell me I should be relaxing, taking long naps and going out to see films but I dont like resting that much! I am definitely taking it easier than when I was training full time but I still make sure I get my swim and walk in each day, although slowly! I feel good, and the baby is doing well. I am calm with the baby still inside, but it would be good if it happens soon, then Stephen can get back to racing. Stephen is entered into all sorts of races, but till the baby is born he will stay here with me. A break in commentating while the wife of Mikel Elkazabel and I wait nervously to see if it will be Stephen or Mikel for 1st place at 70.3 UK. 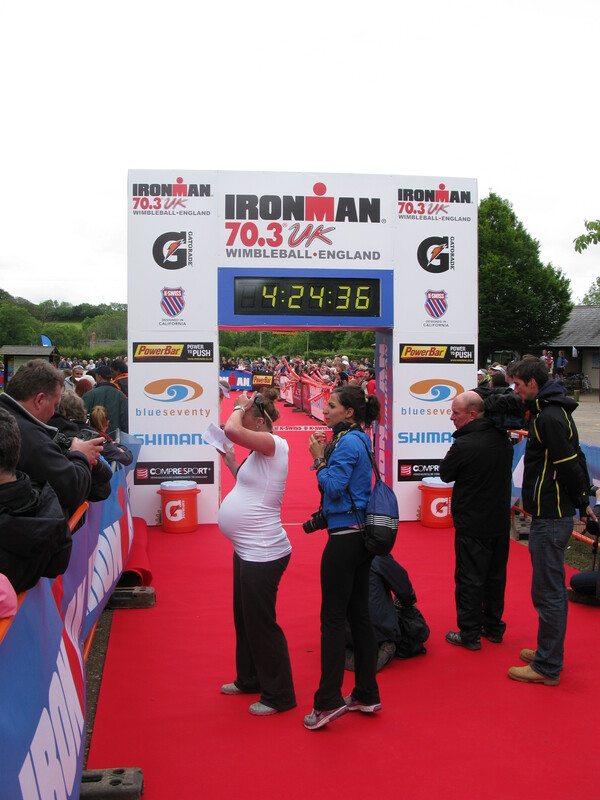 These last few weeks I have also been keeping busy, Stephen and I had a trip to the UK for 70.3 UK, ..obviously not for me to race, but I actually helped Whit Raymond and Emma Jenkinson to commentate for the race. Although I was a bit nervous doing this different job to what I normally do, I enjoyed helping them. It was different to see the race from a different angle and experience the race more like how the organisers and volunteers experience it. From 70.3 UK Stephen and I spent a week in London before going over to Klagenfurt for Ironman Austria. My only “job” at this race was to support Stephen. He did a good job, just he was not as fast as the 4 in front! But he is continuing to work hard and soon he will be right up there. 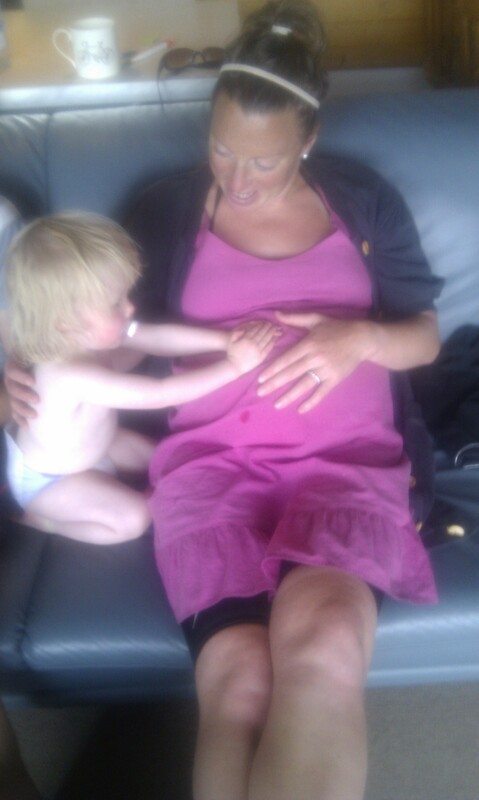 My niece, Josie, feeling the baby moving! Josie says she has a baby in her tummy too! She says it is a girl and she calls her "Princess"!! so cute! 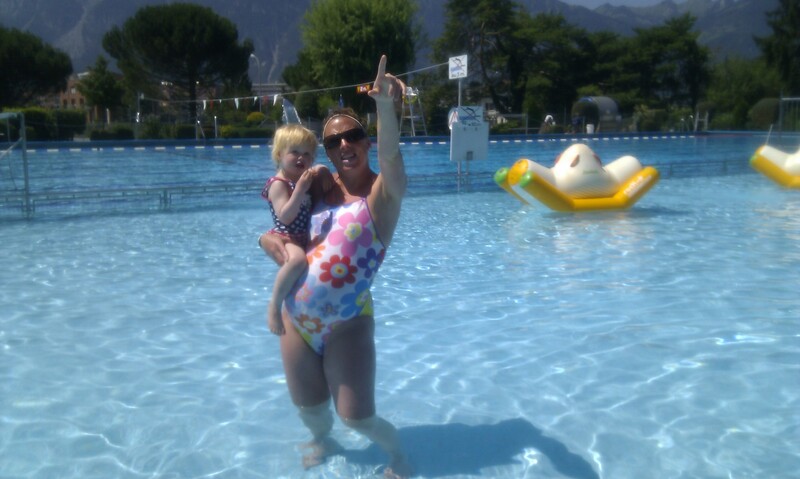 Josie and I at the pool. 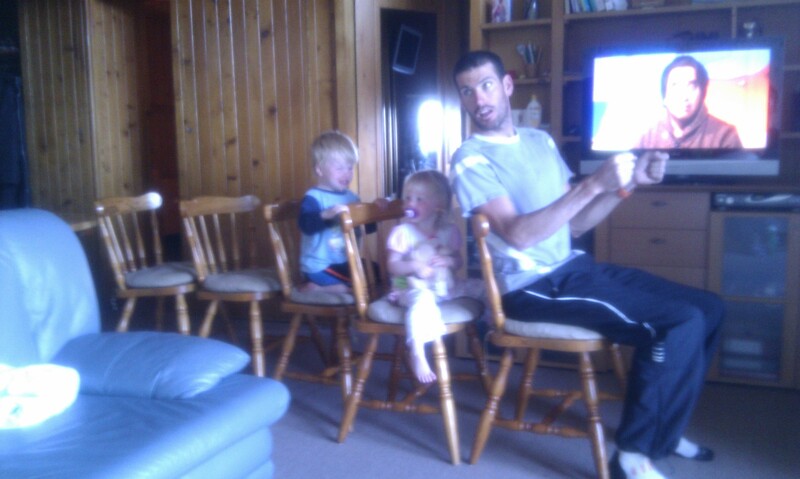 Uncle Stephen the train driver!! Next time I write, (since I am so slow at “blogging” I am sure the new baby Bayliss will be here! I promise to do a blog with a photo once that has happened!